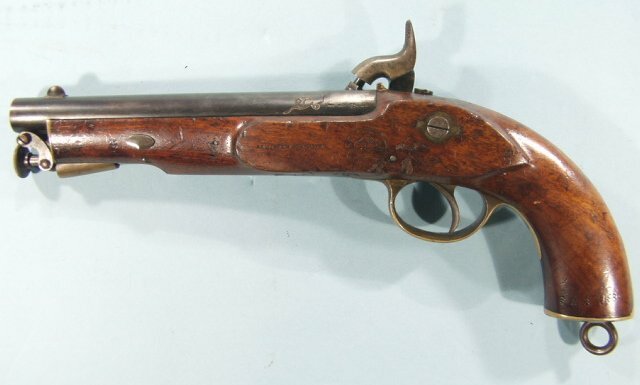 BRITISH “EIG” MODEL 1858 PERCUSSION CAVALRY PISTOL. A .63-caliber smooth bore with 8-inch barrel. 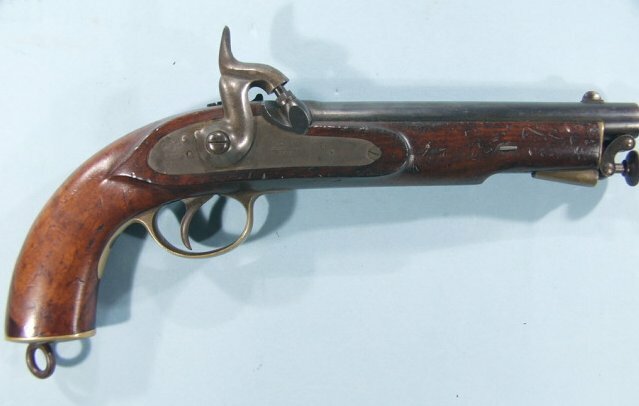 A pristine example of this East Indian government cavalry pistol produced in Birmingham and dated “1871" on the lock. Also stamped to the lock “crown/broad arrow/EIG”. 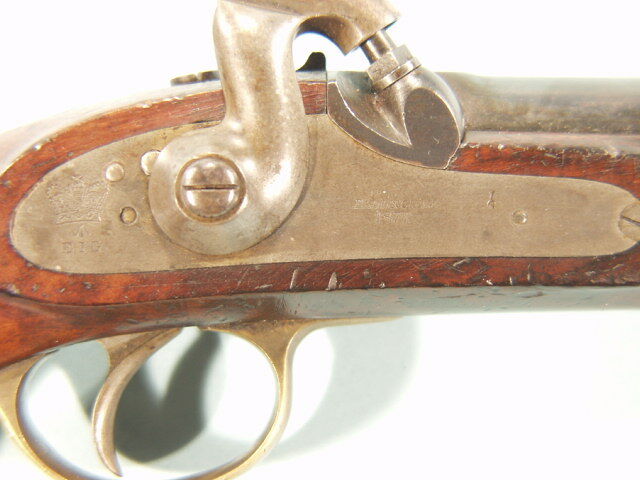 The barrel also bears British proofmarks at the breech as well as Indian arsenal marks. The stock with excellent cartouche and stamped “Bentley & Play Fair”.